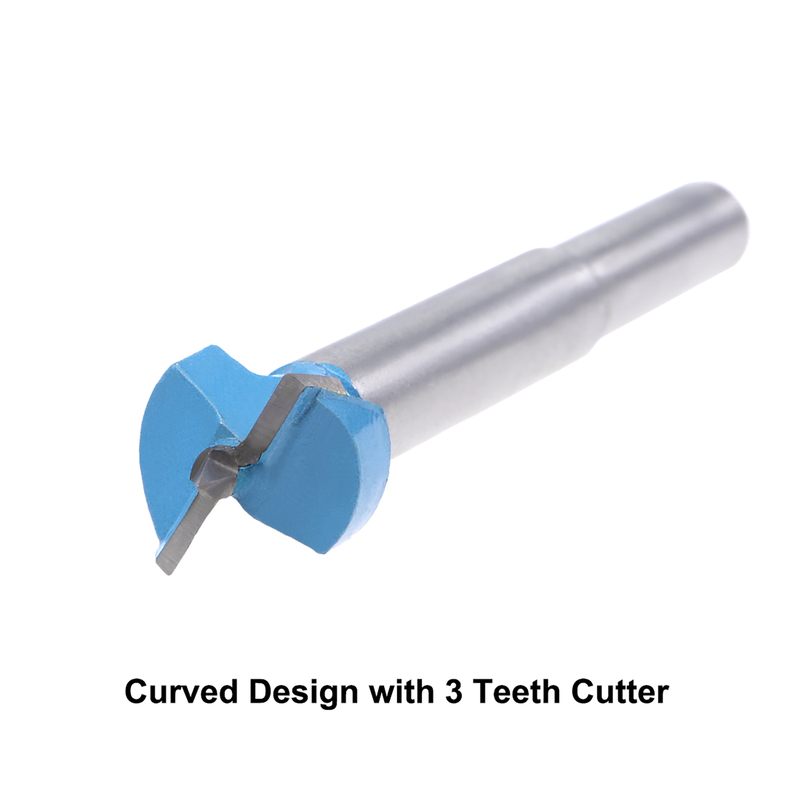 Higher efficiency with the 3 teeth cutter head. It is more accurate and safer to use these drill bit sets in a drill press. The head is good at removing the debris and working efficiently with radian curved design. The tip is specially designed to cut through hole cleanly, great for boring concealed hinges and door locks. This Forstner Drill Bit is high hardness, wear resistance, good toughness, heat and corrosion. Applicable to various gypsum, plastic, wooden,solid wood, artificial wood, indispensable woodworking gadget. Easy to install and use, suitable for chuck greater than or equal to 10mm electric drill, bench drill, high power electric grinding, pneumatic drilling, magnet drill. The temperature of these materials: wood, plastic, plywood etc. will get a kind of high when using this drill bit , please add some WATER or COOL ANT to avoid them from getting smoke.